We are open select Saturdays each month. Typically we are open the 1st and 3rd Saturdays of each month from 10am-12noon. There are a few exceptions, so make sure you check the list below to see if we are open or not. ***April 6th Hours: 11am – 1pm. Stop Foam Rolling and Start Rolling with a Ball! Ball Rolling, Yes Ball Rolling. Most athletes know that if you want to prevent injuries, you have to take care of your body. One of the best ways to do this is by rolling. Traditionally, athletes have used a foam tube called a foam roller. The original tube was quite inexpensive and could be purchased at any craft/art store. Today, sporting goods stores sell a wide variety of them. Smooth ones, spikey ones, some have groves for better flow, and there are even some that vibrate. Yes, vibrate! While each one has its own benefits, the one limitation that they all share is the inability to get that one specific spot/location. 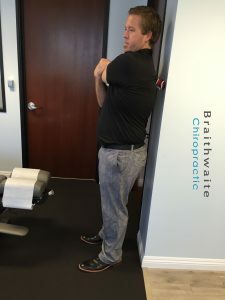 Have you ever tried to foam roll your shoulder blade, neck or even get deep into your glute? It is almost impossible. Other times, you feel like you just need to get a little deeper into a muscle to get any benefit. If any of this sounds familiar, I always tell our patients to roll using a ball. Yes, a ball. There are specific balls that are created for this, but any ball will do. The only rule: if it is bony, don’t roll it. That goes for any type of rolling. If I only had a dollar for every patient that came it with some type of Bursitis stemming from improper rolling, I could buy a new bike! Other than that, it’s pretty simple. You can trap the ball between your body and the ground or a wall and move up and down, side to side, in circles, flex and straighten muscles and so much more. Have fun with it. It is always recommended if you do not know what you are doing, ask your CHIROPRACTOR. 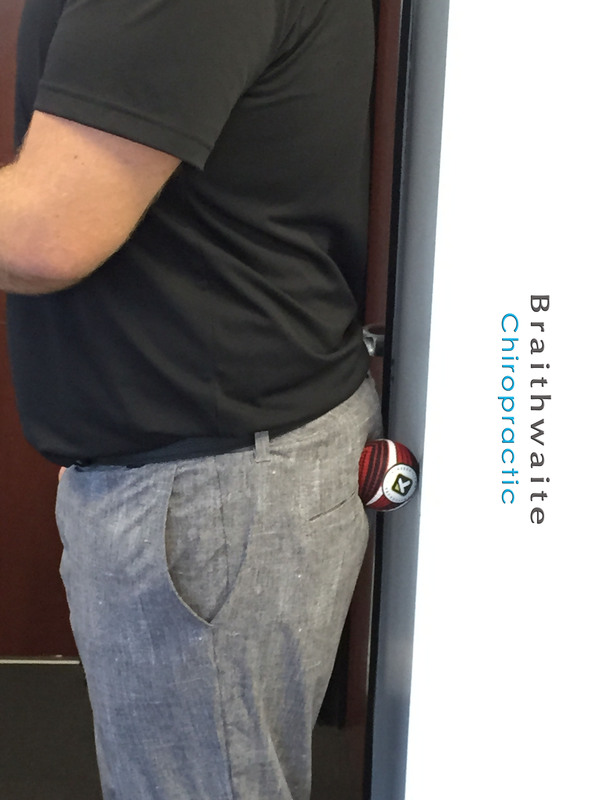 If they don’t know, ask this CHIROPRACTOR!!!! Here are some images to help with a visual. Stuck at a Red Light? 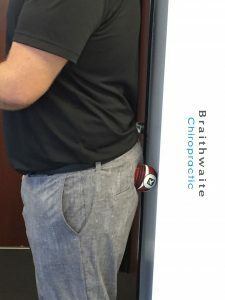 Its the perfect time to work on your posture! Bruggers is a great exercise to help strengthen the muscles between your shoulder blades. These muscles help support your head while sitting. 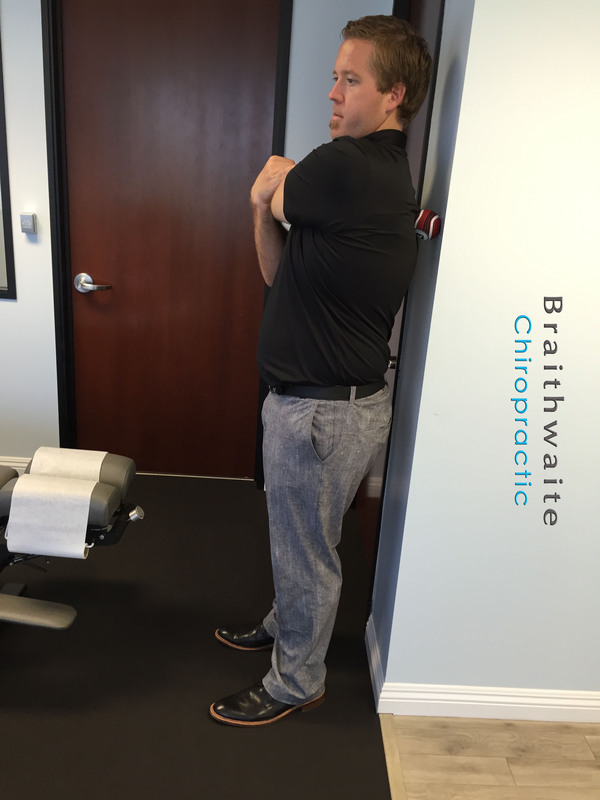 They prevent your shoulders from rolling forward, which can lead to impingement issues and upper cross syndrome. The average Red Light is 37 seconds. 30 seconds is the perfect amount of time to get in one rep.
Y – O – G – A Class! Our Yoga Class is held here in our office once each month! There is a $10 class fee for all yoga classes that is waived when you are adjusted the week (6 days) leading up to the class. It is also waived for all first time participants. The class is lead by the Amazing Jamie Komer from AYT Lifestyle. 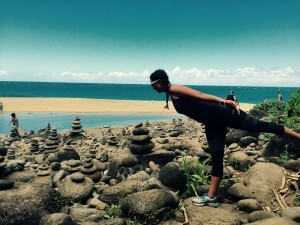 Jamie used yoga as a way to maintain and improve proper biomechanics as an Olympian in the ‘O8 Beijing Olympic games.